Lean Six Sigma and Continuous Improvement teams tirelessly seeks to improve company efficiencies and introduce processes which reduce operating overheads and streamline workflows.  Together with Polar IceTech, many of our clients reduce wasted time, reduce production downtime, reduce secondary waste (and all associated costs), reduce equipment scrap rates and ultimately make their cleaning processes more cost effective, efficient and effective. Managing Director Damien McDonnell says: “At Polar IceTech we capture data before and after the process and use this to identify and continuously improve on the efficiencies offered. We use specialised equipment and processes to clean high value, moisture-sensitive and abrasive-sensitive assets, including process and production equipment with Dry Ice (i.e. Solid Carbon Dioxide – Learn What is Dry Ice and How is it Used in Dry Ice Blasting)”. Dry Ice Blasting has the following features which, when used, is efficient, time saving, equipment saving and cost saving. Dry Ice is non conductive therefore is safe to clean all equipment (including electrical equipment) without the need for wrapping the electrical equipment, disassembly or removal of certain equipment. Therefore this saves significantly on pre and post clean preparatory work. The process is safe to work on abrasive sensitive equipment and high value assets, unlike chemical cleaning or manual cleaning with hammers and chisels, no damage is caused to the equipment or surface therefore the equipment has a longer lifespan. This reduces scrap rates, increases equipment efficiency and cost saving. Many companies have significant costs associated with the removal or treatment of secondary waste streams when cleaning including water, sand, chemicals etc. As an example, some Irish industries use up to a 1million litres + of water per annum in their cleaning process. This water needs to be treated or removed which is a significant cost both financially and in time. The implementation of Dry Ice Blasting eliminates the need for this cost. Reduces downtime as no need for pre-clean disassembly. There can a significant time cost in disassembling equipment. 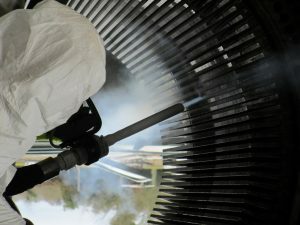 Dry Ice Blasting is a more efficient process in terms of time spent cleaning. Is can be up to 80% faster than traditional cleaning methods.